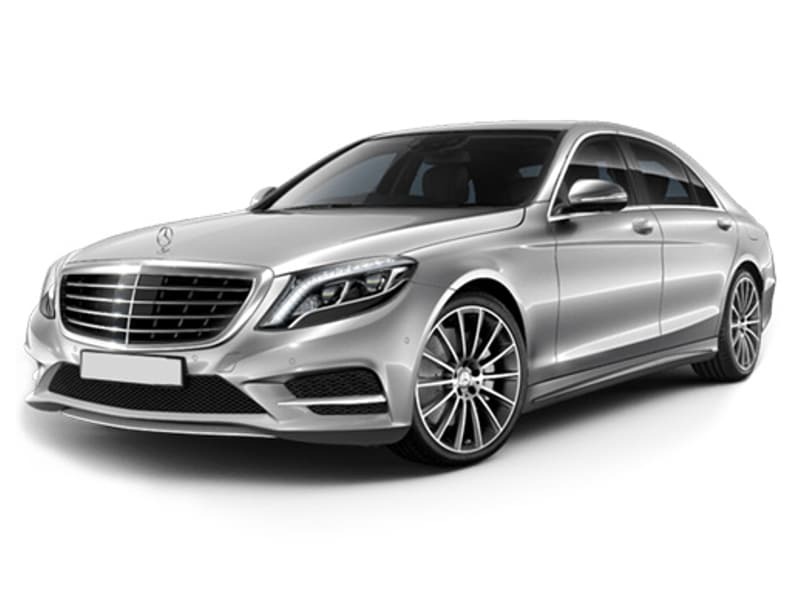 Mercedes Benz have gone over and above expectations with the S Class range in the exterior and interior design.This S Class cuts an imposing figure on the road but remains elegant and strong. 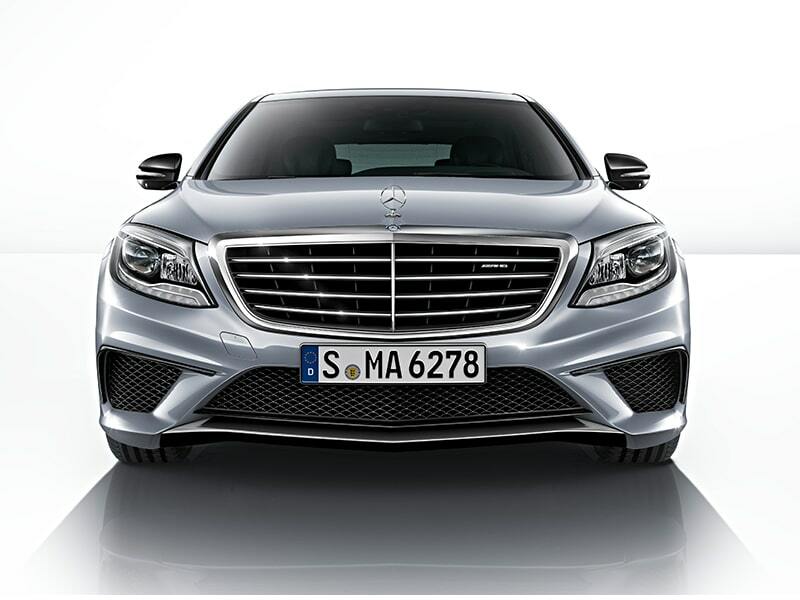 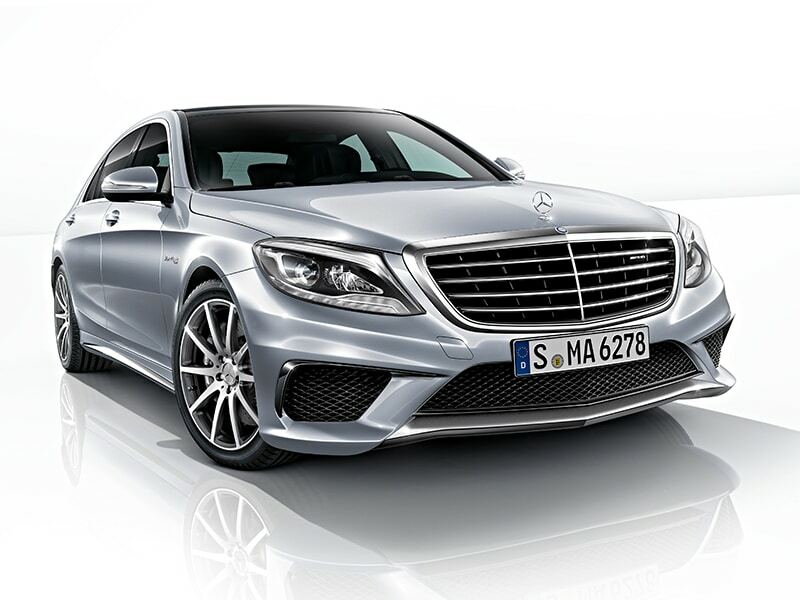 The distinctive lighting makes the S-Class instantly recognisable as does the grille. 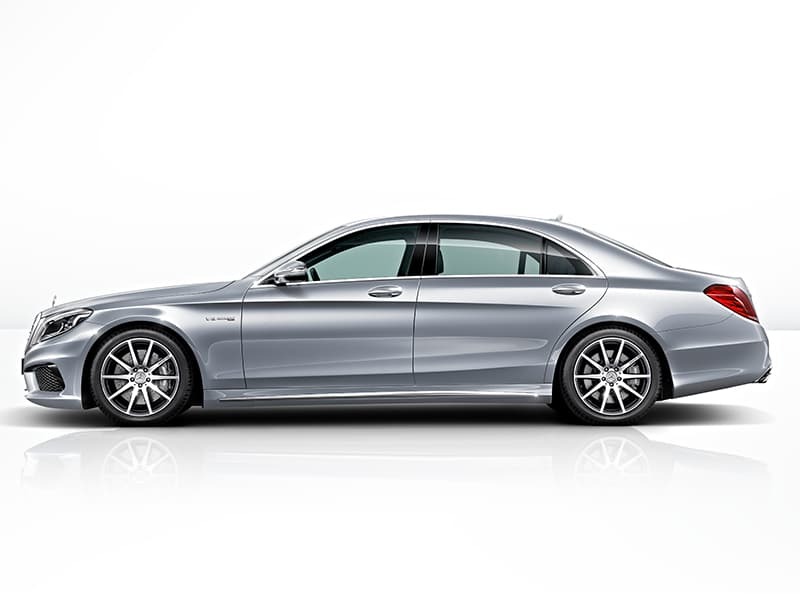 Amongst the S Class saloons available to rent are the S550, S500L, the S350 BlueTEC V6 ands the S400 Hybrid L.
The recent advertising campaign shows the benefits of what Mercedes Benz call the Magic Body Control suspension but in case you have missed the advert this means that you will have one of the smoothest rides imaginable in a car. 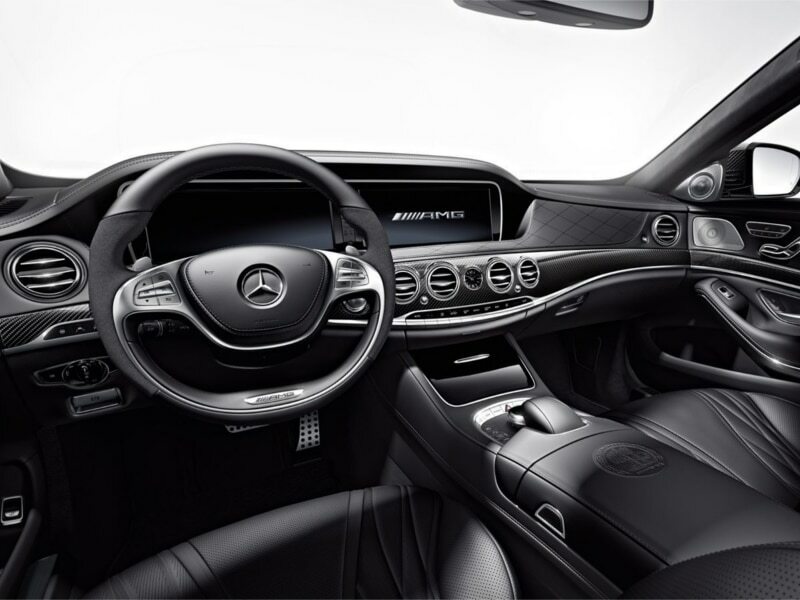 The S-Class has plenty of cabin technology but one of the best features is the acoustic insulation, meaning that you will notice the immediate calmness and peacefulness of this saloon. 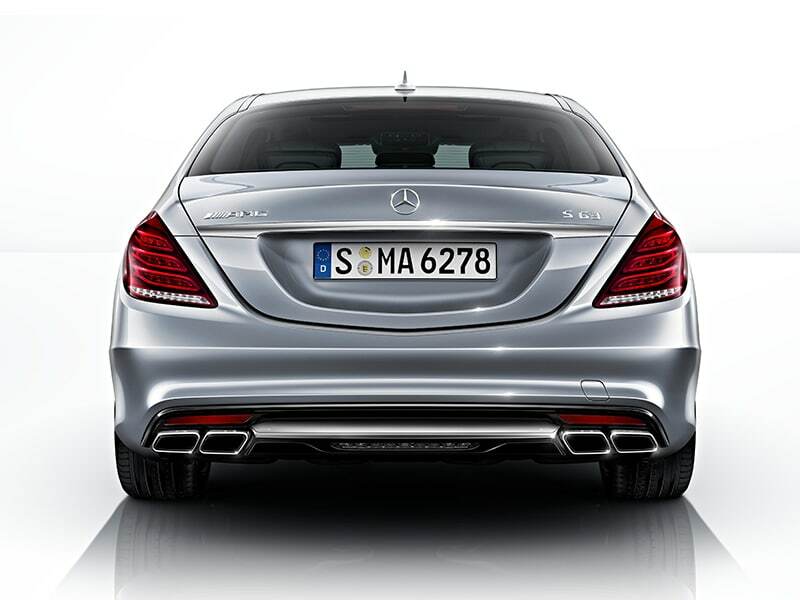 The cabin is completed with the very best materials and makes the car reassuringly luxurious.